Continuing my Lisboners set. 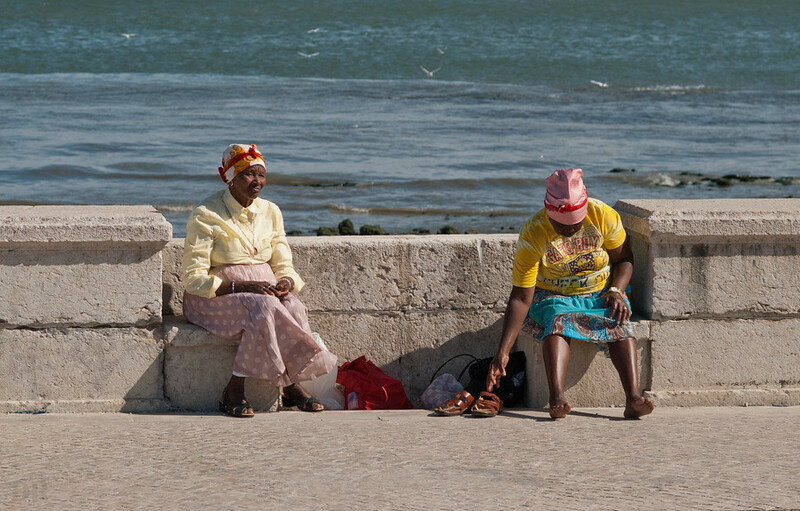 These two ladies were resting by the Tagus River in Lisbon when I spotted them. The symmetry and the V shape between them immediately capture my attention. Meanwhile, I'm finally using Photoshop CS5 but I still don't have my favorite plugins installed. I'll try to manually move them from CS3 but if I can't use them that's something that will keep CS3 in my hardrive.